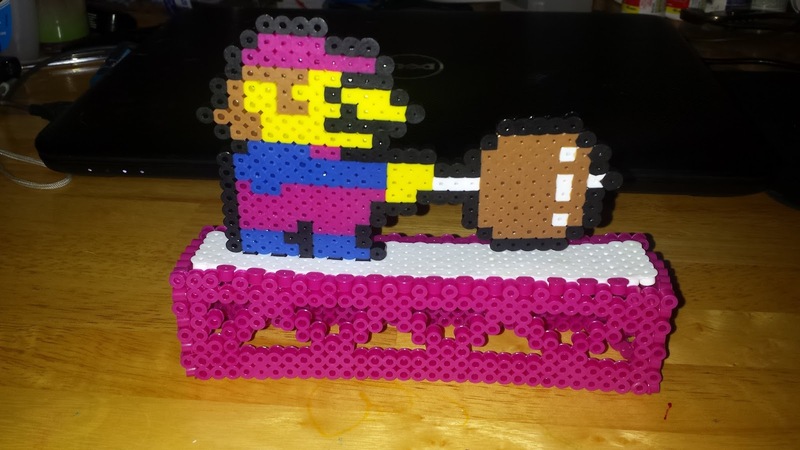 Whether you are lucky enough to have lived through the golden age of gaming, or are part of a new generation of pixel art fans, perler bead creations will certainly make any game room pop! 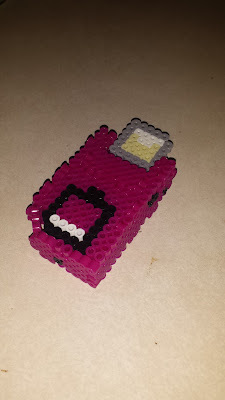 NLA: When were you introduced to pearler bead art? Carl: I was introduced to Perler bead art when I went to a local video game convention here in Arkansas. It was in 2014 at the River City Comic Expo, I think that is the name of it. There was a bead artist there who was selling art work. 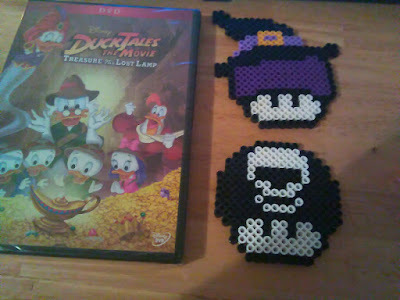 He had some great stuff - nothing Mario related though. He had stuff like a 3D Tardis and a bunch of flat pieces that were magnets and the like. I was interested in the stuff from that point. His prices at the show were fine, he just didn't have anything I was interested in. Watch out for that Piranha Plant! 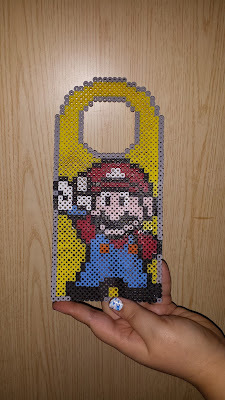 NLA: What is it about pearler bead art that appeals to you? Carl: I like making things with my hands. That is why I still work in a sheet metal shop. 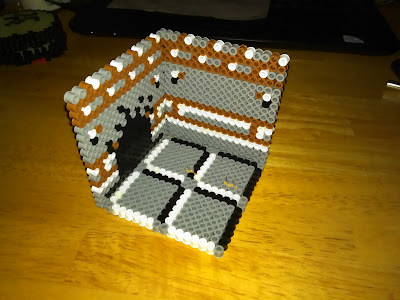 For years in high school I would play with graph paper, then I transitioned to yarn and the like trying to recreate gaming stuff. 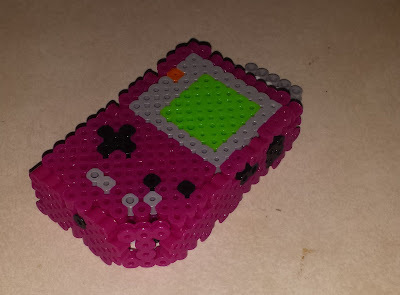 I was never good at that (and I had no idea about Perler beads in the 90's). It is cool recreating scenes from games and being able to hold it and see it, move characters around and the like. It is also great knowing others enjoy these things too. Too bad this Game Boy brick doesn't actually play! And the backside has a cart! 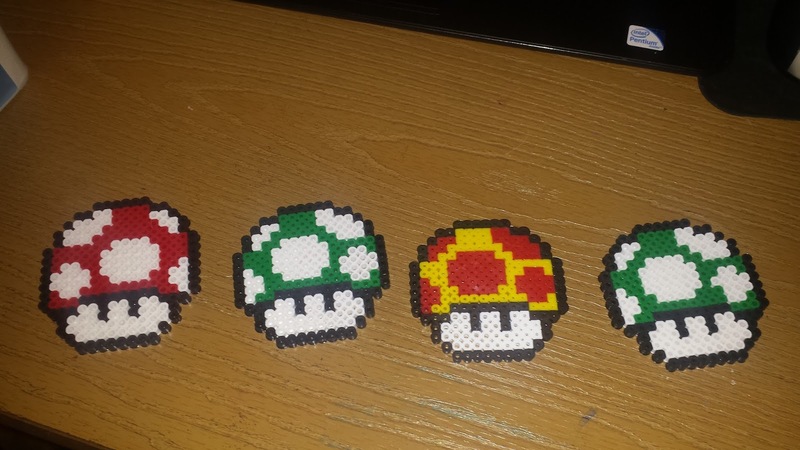 NLA: Why did you decide to start making perler bead art? 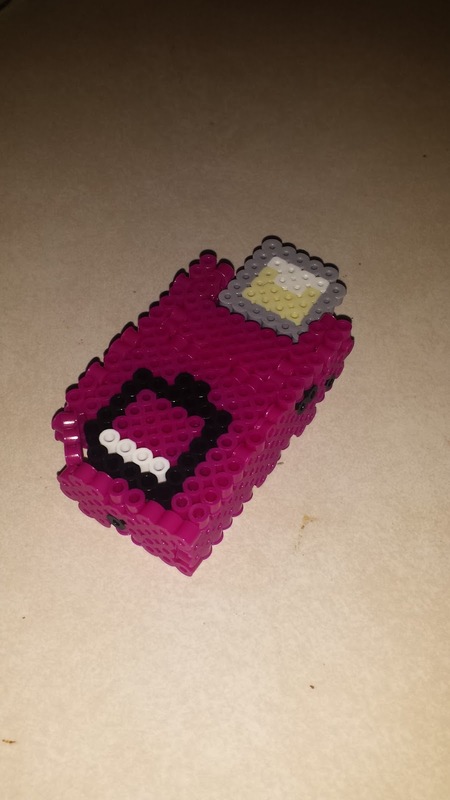 Carl: I started making them after contacting the guy from the convention. 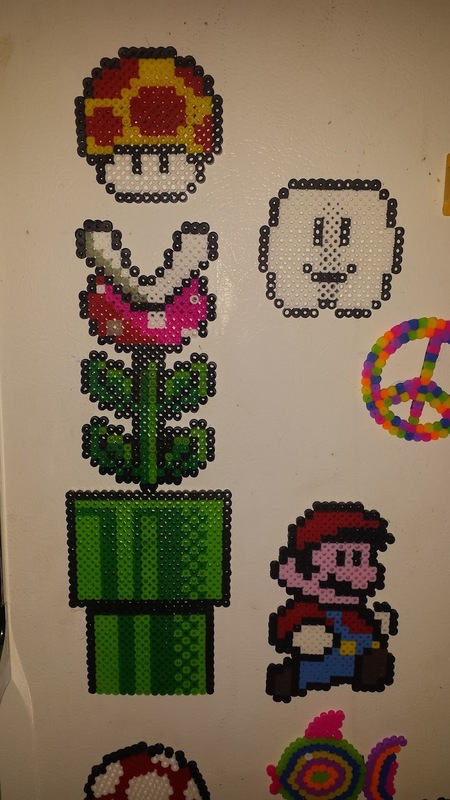 He wanted something like $45 for a Mario mushroom piece (about 250 to 260 beads) and an 8 inch tall Yoshi (about 2,000 beads). I felt that was extremely high so I checked into making them myself. After some investigation on prices, stores that sold the supplies, etc I realized for the $45 I could make my wife 3 or 4 Yoshi's like she wanted and more than a handful of those mushroom heads. At that point I just took the plunge and bought my own supplies rather than buying from that guy. Carl: I sell the same items he wanted $45 for but I charge about $15 to $20 including shipping. There is simply not that much time or beads in those pieces so I cannot understand why he wanted to charge nearly double on a decent profit margin. I realized then that it is dangerous to price your stuff so high that it is cheaper for a customer to become competition. 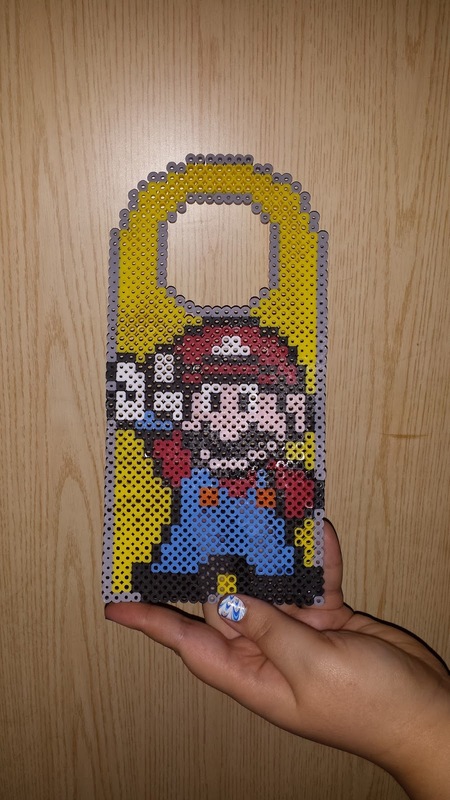 For Mario to "hang out" on your door knob. 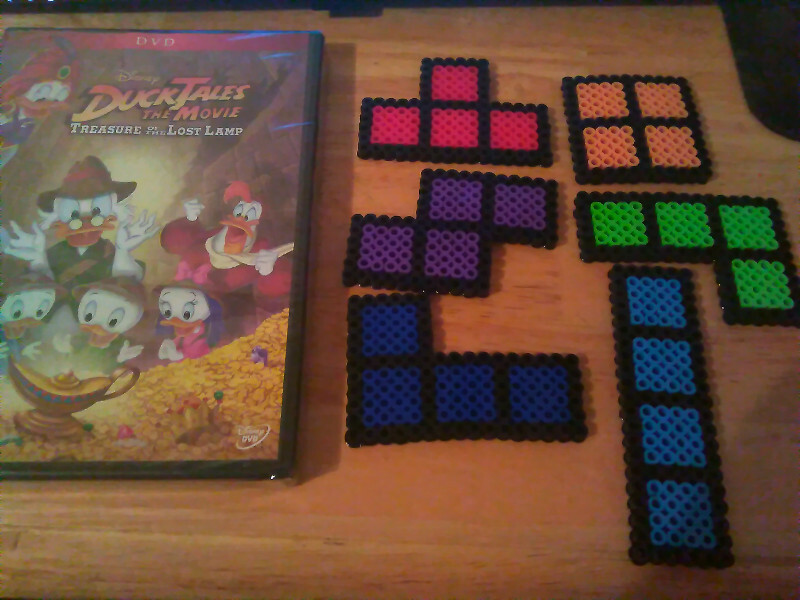 Tetriminos with a DVD case for size comparison. 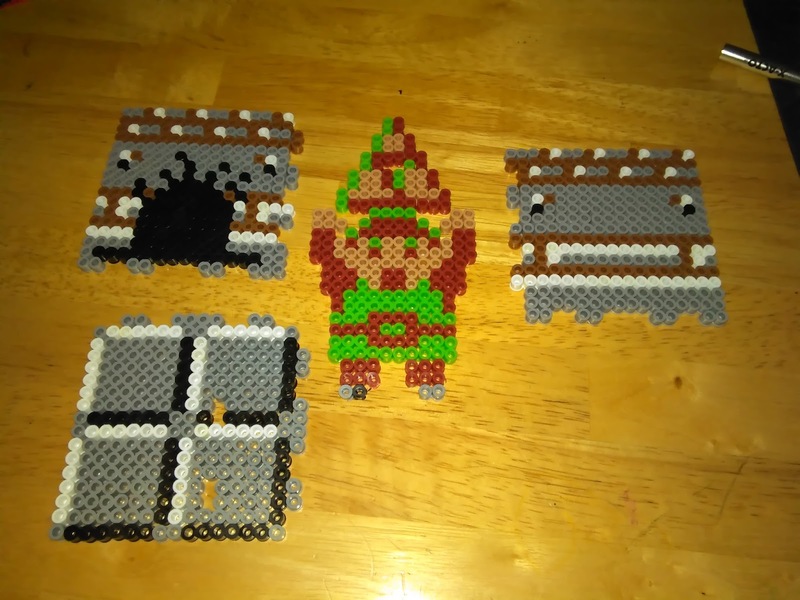 A classic Zelda set piece. With the Link that can stand on display. 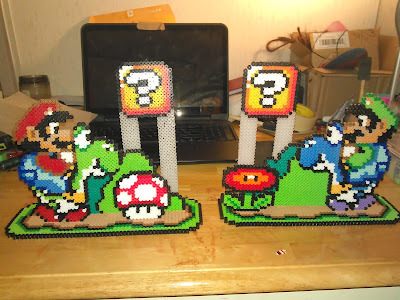 An amazing Super Mario World display! Check out this work and more over at Carl's eBay store! He has a new "pay for shipping" line coming out soon that are free. All you have to pay is shipping and handling!